The comic strips of Colin B. Morton and Chuck Death (aka Jon Langford) deliver an irreverent, heartfelt, and devastatingly­ funny history of rock and roll. Like Monty Python at its best, their version is surreal and ridiculous—yet somehow everything in it rings true. 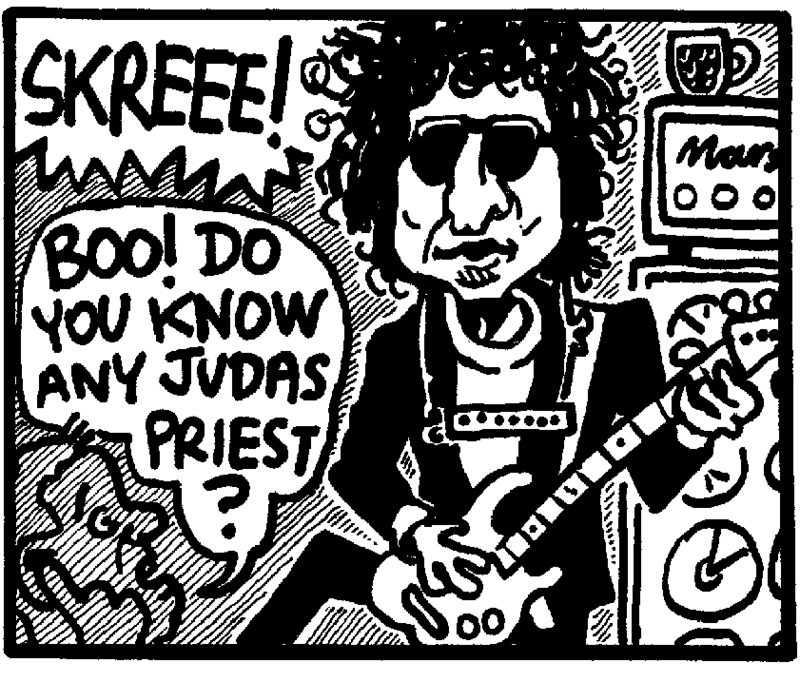 In strip after strip, Morton & Death pinpoint the absurdities and oddities of rock history. In the process, they often come closer to its truth than conventional accounts do, as well as being far more entertaining. As for the drawings, their caricatures of rock stars from Mick Jagger to Frank Zappa, Johnny Rotten to Courtney Love, are in themselves worth the price of admission.